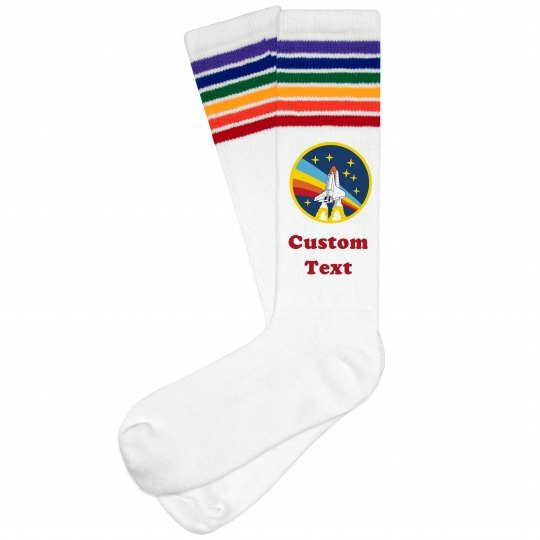 Customize a pair of retro NASA themed space socks for a special occasion, or just because! These colorful striped knee highs serve as the perfect gift for the ultimate science nerd. Add a special message to make them one of a kind.